African running dominance // is there more to come? We recently (11 May, Good read, check it out!) 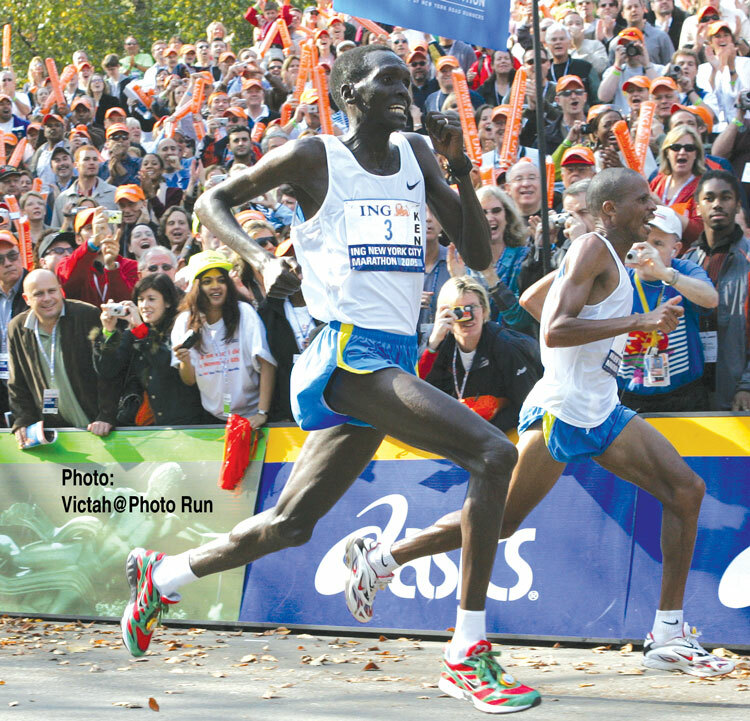 featured some stats on the African runners in the City Marathons, and Jonathan showed how in the Boston and New York Marathons, the Africans had not in fact moved the event forward. The winning times over the last 30 years have NOT improved and so the classic American & European runner’s excuse of “We can’t compete with the Africans” seems to have been discredited. However, there may be some among you who were wondering about this, because it’s a slight departure from the classic perception of the Africans as a dominant force in long distance running. And that certainly is true, but not in the major city marathons. If you want to see just how the Africans have moved long distance running forward, you have to look at the world records, where the cry of despair from the non-Africans may actually have some validity! So this article looks at the world records for the 5000m, 10 000m and Marathon events, and uses this to predict that the next generation of African runners who move up from track to marathon will move the event another notch forward. First of all, the fact is that the Africans have moved the marathon forward much less than the track events, and this suggests to me that there is a still another explosion in times waiting to happen. For example, the 5000 m world record in 1977 was 13:12, and it’s now sitting at 12:37. That’s an improvement of 35 seconds, which is equal to 4.5%. Incidentally, that performance from 1977 is now 972nd on the all time list of 5000 m performances. Looking at the 10 000m event, the current world record of 26:17 by Keninisa Bekele is a full 1:13 faster than the world record of 1977. This represents a 4.4% improvement, quite similar to the improvement in the 5000 m distance. However, when we look at the marathon, the world record in 1977 was 2:09.36, and so the current record of 2:04.55 is only 3.6% faster, and that’s slightly lower than the 4.5% in the 5000 m event. But what’s more interesting is that that performance from 1977 (which was actually run in 1969 by Derek Clayton) is still ranked 715th in the world today. So a time from 40 years ago has fallen only 714 places, whereas the 5000 m time that was being run 30 years ago has already dropped almost out of the top 1000 times ever. That means 200 fewer people have improved on a 40 year old time than on a 30 year old one. One reason is that marathons are run less often than track races and so it might be expected that the depth of the times in the marathon would be less. Also, one might say that the Africans focus more on the track races and have a longer history, but that only adds to my speculation that in the future, the marathon record will again explode out of sight and hit 2:02. When it hits 2:02, then it will be roughly the same improvement as the 5000 m and 10000 m races have had over the same period, so that’s my prediction for the future – they’ll hit 2:02 when the next generation of track runners steps up. That group will likely be led by Bekele, Kiprop, and the Tanzanians, with a good few Kenyans thrown in as usual! Finally, remember that in 1995, when Geb ran 26:43 for the 10k, he was the only guy going under 27. Now, there are about 10 a year, and the average is probably 26:40. So it’s a matter of time before that depths gets to the track and they smash that marathon record again. My money says Lel breaks it next, and then the new generation takes over. So exactly why do the Africans dominant running so much? We’ll look at the physiological explanations for this dominance in upcoming posts, so join us for a look at this fascinating question. We probably don’t know the answer yet, and scientists all over the world are asking the same question, but it makes for seriously interesting discussion.